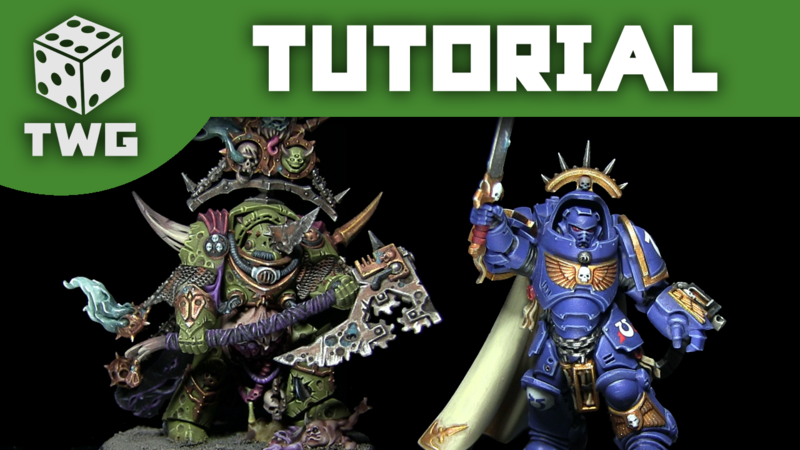 In this weeks tutorials I show you how to paint the two named characters from the Dark Imperium boxed set. Lords of Contagions are powerful Chaos Lords of the Death Guard. These warriors are twisted by the powers of Nurgle and wield Plaguereapers. Primaris Space Marines have been genetically altered by Archmagos Dominus Belisarius Cawl to be bigger, faster and stronger than their Space Marine brethren. Together these are both powerful warriors that take to the battlefield and leave devastation in their wake. Whilst both of these tutorials focus on a specific character, the techniques employed in them can easily be applied to other miniatures in their respective factions; the Ultramarines in the Captain’s case, and the Death Guard for the Lord of Contagion’s tutorial.